Knowing when to replace or repair your business’s HVAC system is entirely different than the calculation to replace your residential HVAC system. Since commercial leases and business planning is not as far out as residential, a thoughtful analysis of Return on Investment (ROI) must be done when considering repairing or replacing your business’s HVAC system. In my energy efficiency firm, we mostly focus in terms of ROI on energy efficiency regarding lighting, refrigeration, weatherization, smart thermostats, and computer management. However, HVAC systems are much more complicated, and most of the considerations on whether to repair or replace fall into the new equipment warranties and repair - basically how much future maintenance costs are avoided by replacing an entire unit at one time. So instead of simply focusing on ROI, our customers focus on maintenance and other factors than just energy savings. Here are 9 that you should contemplate, hopefully before your rooftop unit heat exchanger goes out in the next cold spell. If you are due for a new heat exchanger, compressor, or anything significant to keep your unit running and your customers and employees comfortable, it is obviously time to weigh the cost of that repair vs a complete replacement. Unfortunately, that choice often comes in an urgent time, like in the middle of a cold or hot spell when your customers will suffer with any delay in service. In this case, the ROI must be calculated quickly and usually tends toward repair in an emergency. The best way to avoid this sunk cost of repair into an older unit is to plan for a replacement in a shoulder season (spring or fall) to avoid an urgent repair. Economizers are an amazing feature on rooftop units - they bring in fresh air when it is cooler than inside (when the thermostat is calling for cooling) or it is warmer outside (when the thermostat is calling for heat). While this seems like it would rarely happen, it is frequent for restaurant kitchens with tons of cooking heat. I’ve been on hundreds of McDonald’s roofs in the late fall or winter, and it is not uncommon to have the air compressor running on a day that is 50 degrees. A well tuned Economizer will open in this situation, and bring in fresh 50 degree air instead of running the air compressor to remove the heat from the many grills and cooking units in the indoor area. If you lack an economizer and have a kitchen, you should consider replacing your unit with a new unit with an economizer. 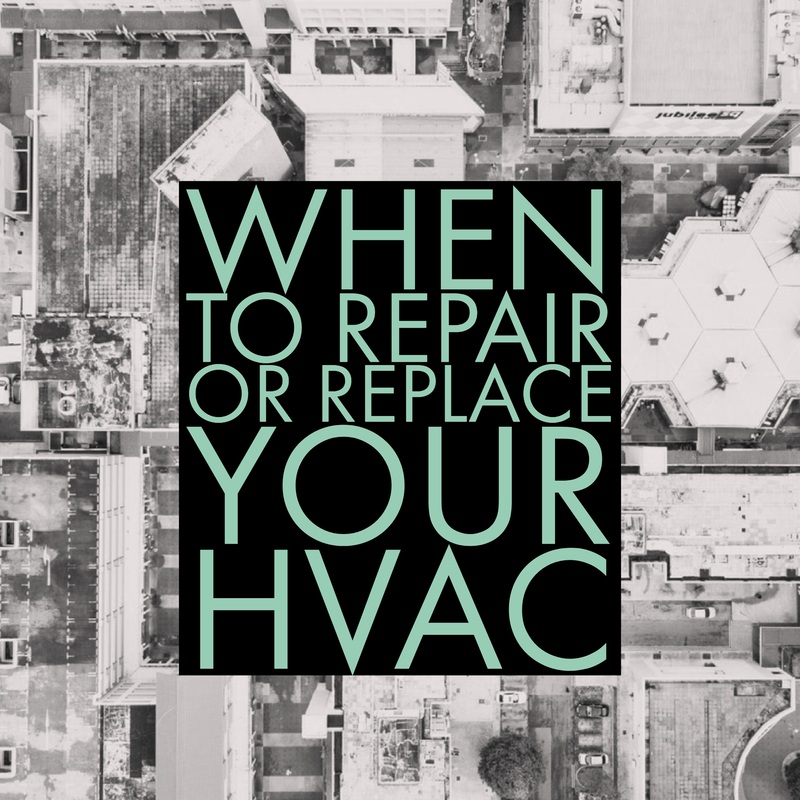 In the case that you have an economizer but it is not running smoothly (and this is incredibly common), you should consider repairing your economizer with a reputable HVAC company and get your unit back to its designed condition. However, it is common for HVAC technicians to not fully understand how economizers work or how to repair them, and then will solve the problem by keeping the economizer permanently open or closed. This will either defeat the goal of the economizer, or permanently let in overly hot or cool air and significantly increase your energy costs. For this reason, make sure to talk through this with your HVAC contractor before you call them out, so you are sure they are comfortable working on this type of equipment. Incentives are likely available for your commercial property if you replace your existing unit with a more energy efficient version. In Chicagoland, we receive incredible utility incentives for early rooftop unit replacements for “Small Businesses” classified as 0-100kW peak usage on their electric bill. Those customers receive a rebate of $600 per ton for CEE Tier 2 energy efficient units. This is a significant rebate and can almost cover the cost of a new unit, significantly shifting the ROI for a new replacement. Larger commercial customers (100kW and above) still receive a rebate of $100 per ton - helping to push the ROI to a shorter time period on a significant investment. In this scenario, it is time to replace your unit for a top of the line unit. New energy efficient units can save $900 to $3700 per year in energy savings, and if you are looking to invest in your business for the long haul, replacing your unit for energy savings will lead to great returns on capital. If your business rarely needs air conditioning and heat, then it is likely better to simply repair your unit. Find a better way to invest your capital, like in motion sensor for lights or smart thermostats to better monitor and control your HVAC system. Low usage means that your unit will not be needed as often, making the ROI on a new unit longer and less likely. Leased property tenants are often responsible for taking care of their units, and rarely take proper care of the equipment. New tenants taking over spaces are often concerned about existing equipment, and there are frequent complicated terms in a lease and their negotiation. We have found many of our property management companies take advantage of the generous rebates to replace the HVAC system for their new tenants as a part of the lease negotiation, leading to a win win for the property manager and the tenant. The tenant is more likely to stay in the space for a longer time period, and the landlord gets their contribution to the new lease covered by 20-60% by the utility rebate. After upgrading your exterior lights to LED, interior to smart and controller LED fixtures, and refrigeration improvements if available, you need to look past the low hanging fruit to deeper investments for energy efficiency. In this scenario, you should replace your existing and go for the highest efficiency rated unit that you can find. Since space heating and cooling is the number one usage of energy in commercial spaces, it is the best thing you can do to be green in terms of long term investment of your physical building. High occupancy can lead to high CO2 inside, potentially leading to suboptimal conditions for tenants. For this reason, new rooftop units (RTU) by code are often required to have CO2 sensors integrated to their economizers. If your building has high occupancy, like a movie theater or other dense office space, a CO2 integrated unit with an economizer might make a replacement the right option for your building. Did I miss a scenario that you would like to know the answer to? Please reach out and let me know.